David J Andrew, researching the MOSS/MORSE family all dates. Raymond Cook, researching the CRUMP family 1600-1800. Kay Owens, researching the ROBINS family c1830. Kate Boast, researching the AYERS family All dates. Deb Kennedy, researching the STEVENS/STEPHENS family. 1700-1800's. B J Watkins, researching the BALLINGER family pre 1660. Karen Atkinson, researching the BARTLETT family. Angela Evans, researching my family tree and have traced back to my great great great grandparents - Edward WALDEN (born circa 1799) and his wife Hannah (No maiden name) and the other side Simon GLOVER (born circa 1796) and his wife Harriet (nee BALLINGER). Their children Josiah WALDEN and Martha GLOVER married in 1854. The story goes on WALDEN to BOWN to EVANS and then me! Mrs Elizabeth Visser, researching WILSON: (Cirencester) & Robert (Preston-nr Cirencester) GLS 18th & 19th C. YAXLEY: Cirencester GLS 19th C & in connection to the Bishops Blaize Inn, Cricklade Street Cirencester. John Winstone, I am looking for WINSTONE in and around Cirencester / DAY in and around Chedworth. 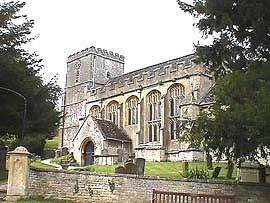 My GGGrandfather David WINSTONE married Dinah DAY in Chedworth in 1844. Any suggestions for people to contact, sites to visit, etc. I was born in Birmingham, Warks but now live in Ontario, Canada. Chris Abbley, I am researching the ROBBINS family in Chedworth all dates. 43, Selborne Road, Bishops Cleeve, Cheltenham, Glos GL52 8BT. Pam Amey, researching the STEPHENS / STEVENS family 18th & 19th centuries. I have missing gaps, any information gratefully appreciated. David Bowl, researching the BALLINGER family 1680-1780. Mark O'Brien, researching the LAWRENCE family All dates. E Bellenger, researching the BALLINGER family All dates. Heather Aston, researching the COLLINS family All dates. Richard Bridgland, researching the BEAMS family 1750-1800. May Lanchbury, Researching the LANCHBURY family all dates. Steve Baines, researching Mary MIDWINTER born circa 1711 She married in Cirencester in 1731 a Richard COCKBILL who was probably my 6xggrandfather. Julie Church-Sparling, researching the TROTMAN family all dates, request for my search for the marriage of Thomas TROTMAN, son of Job TROTMAN of Chedworth to an Elizabeth, probably c1828-30. If anyone has this in their tree, or in any marriage records, I would be delighted to hear from them..
Donna Lonon, researching GEGG, George Lambert, born ca 1873, married CHEATER, Edith Mary Maud in 1894, and died 1912 in Chedworth. Edith bapt 09 Jul 1876 died 1914, where? Withington? Martin Collett, I am researching the COLLETT family who lived in Chedworth during the 19th century / early 20th century. Valerie Adams, I am researching the ROBINS family, especially ancestors and descendants of David ROBINS, stonemason, also the HOLLAND, AVERY and COATES families. Robert Hillier, researching the GILLETT family and currently am focusing on Joseph GILLETT in Chedworth from about 1780 to about 1855. Kerry M. Walsh, researching the descendants of Dennis TUFLEY who lived in Chedworth and died in 1733, hopefully to connect to my proven family tree in which my earliest TUFFLEY ancestor is my 4 x gt grandfather, Dennis TUFLEY. He was probably born around 1750. His son Dennis TUFFLEY (b. 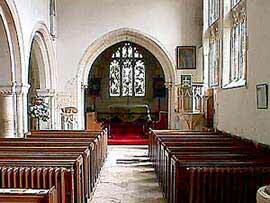 1775 at Eastleach Turville) married Mary CLARK on 22 May 1800 at Eastleach Turville. They also had a son named Dennis (b. 1811 at Eastleach). There has been a Dennis in every generation since. John Jenkins, researching FRY c1795-1856, JOACHIM pre 1800 and SCRIVEN 1700s-1800s. Miss P E Millard, researching the MORSE family 1800-1900. Tim Lomas, researching the WINTER family 1780-. Stephen Philpott, researching the BRADLEY family All dates. Ruth Withers, researching the BALLINGER, BRIDGES, DRAKE, HOLLAND, PEACHEY, ROBBINS and SHERRARD families. Angela Golding, researching the BALLINGER 1600's, BRIDGES, COATES, DRAKE, GLOVER, HAYNES, HILL, HOLLAND, JOACHIM, MUSTO/OW, PEACHEY, RANDALL and ROBBINS families. Tracey Voss, I have recently started tracing my family history and from what my mother has told me we are direct decendants of the BALLINGERS from Chedworth, my great-father being Albert George and his father being James and his fateher before him being Samuel, born 1789. Carol Jones, researching Richard RADWAY born in Chedworth about 1810. Any information on RADWAY's, will be welcome. Herb Holland, I am researching the HOLLAND family, all dates Chedworth. Would love to correspond with any and all...by e-mail or snail mail. 825 E. Torrey St., New Braunfels, Texas 78130. Adrian Randell-Sly I was the last Randell-Sly to be born while my parents lived in Chedworth, and I have traced�the familes back to 1461 (SLYS) and 1725 (RANDELLS) in this area. We could swap more information, possibly, as I have a lot of data particularly�on the 18th century, but am a bit short short on happenings in the 1500s. Ellen PURVEY / PARVEY / CURVEY from Chedworth. There are lots of possible WILLIAMS and I am unsure about the maiden name. Can anyone help? Norma Jackson. Searching for info on parents of mygreat great grandfather - David Elias FRY born 1847 Yatton Keynell; connections with Chedworth and probably Brinkworth; any known links would be much appreciated. Joan Cowdell, I am researching the COATES family, mostly they come from Chedworth and Cirencester. They became "my" family in 1735, with the birth of Mary Coates who married my ancestor William Hart, so I have not tried to come forward very far from that date but have been working backwards, basically to as early as I can find the records.